The beta should start on the 19th of November. 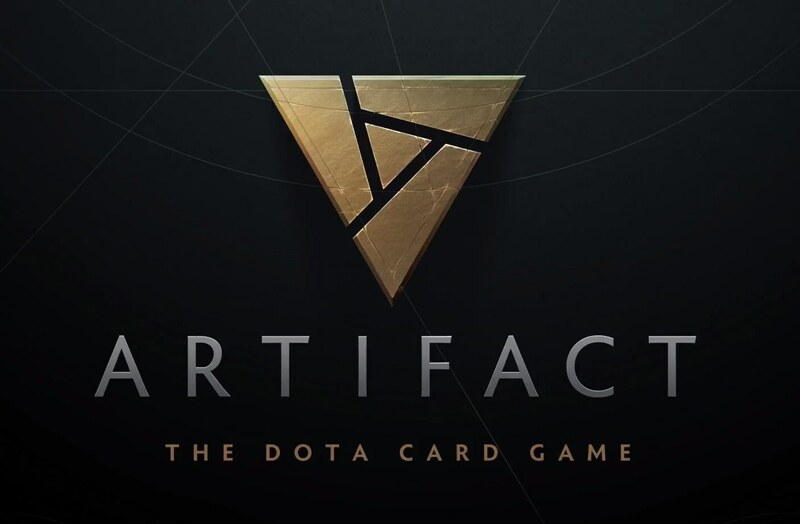 Hello everyone and welcome to the Artifact thread, Valve's game which release date has been set to be the 28th of November 2018! Red, Green, Blue, and Black. As I'm writing these lines (14th of October 2018) a very closed beta, let's call it VIP beta, is ongoing with some big names from Hearthstone and Magic, some names: Lukas Blohon (magic, winner of one of the closed beta tournament), StanCifka (magic and hearthstone, deemed the best player of the beta) , Lifecoach (hearthstone), his wife Wifecoach, RobAJG (magic), Swim (gwent), Frozen, (I couldn't find a list yet, I found a link but that seemed polluted with fake names...). A less private beta (but still private) is supposed to start in October, but hasn't been announced yet, 45 days away from the release, beta keys can be obtained through raffles or bought online for prices around 100-200 dollars a key! 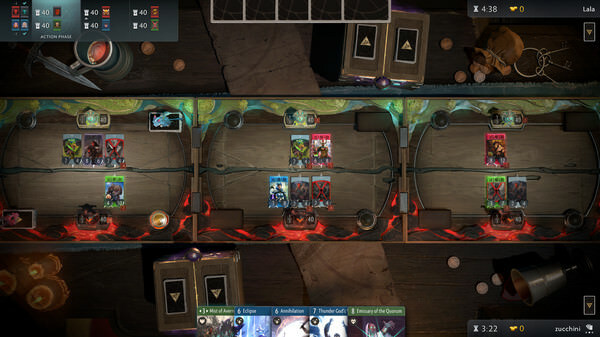 The game is inspired by not only by cards games but will also try to replicate the DotA feeling with three lanes, heroes, minions, items, and spells. View of the three lanes. Here is a good link about what we know so far, thanks to /u/Sixen!, below are some of these information. Your heroes spawn randomly on the lanes and can be resurrected on any lane. You can gain gold which allow you to buy items. A game is over after a tier two towers has been destroyed, or after two tier one towers have been taken down. You can find gameplay videos on youtube. You don't control the fights as in Hearthstone, instead the game is closer to Gwent. The game should have a deck tracker, a tournament mode, replays, deck sharing. The game will use the steam market to trade cards. The game should be pay to play, giving you a nice amount of cards. I've read that a big 1 million dollar cash prize tournament is planned. A draft mode has been announced, as long as constructed, not announcement concerning other modes yet. Woot! I'm hyped for this, can't wait to play it in 6 weeks, will be a nice Bday present to myself lol. I just hope to God they'll work on the wording on the card effects. I'm hyped for this as well. But then I read that the only way to earn packs is to buy them with cash? Is that right? There's no in-game currency which you can earn by doing daily quests and then use to buy packs with? Well that's somewhat disappointing. With Smash Ultimate being released just a couple weeks after Artifact I'll probably give this one a pass then. there are dailies and drafts to pay for cards in MTGA. 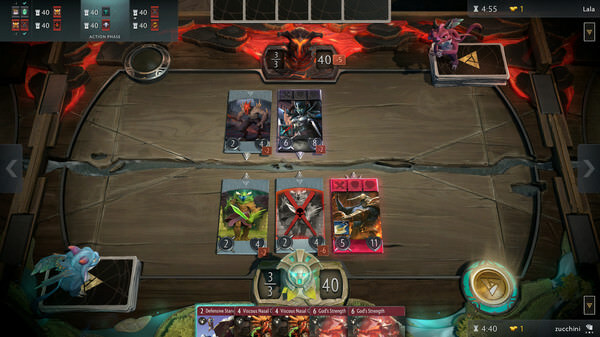 it would be a huge mistake to get rid of that method of getting cards in artifact. I think I saw somewhere a mention of mobile versions coming later. I wonder how they're going to handle the seemingly complex UI on those. The interactions probably aren't too bad for small screen, but the initial feeling is that there's quite a lot of information you have to track. The three lane system is one way to split information into smaller screenfuls, I guess. New article about the draft mode, with the new board being shown! huh how was there not already a post up for this. but yeah im planning on playing this when it comes out. Can you target singles like paper MTG? Yeah, cards can be purchased individually. As far as I understood, they're planning to use the Steam market. There was some talk on how the economy works and whether the most popular cards will become too expensive due to demand. How does something like that get around gambling laws? It does sound like it's going to be expensive. There is a format people play on Magic Online called Penny Dreadful where you can't use cards that cost over $.01. I expect eventually there will be enough cards to support a similar format for this game. I might try it when something like that comes around. Hopefully it's on the cheaper route. I haven't posted in Teamliquid since forever but I had to come back for this. Did anyone else see Hot_Bid commenting the Artifact Preview Tournament ? Yea he's one of the main producers at BTS. He's really well known in the Dota scene as well, and also super into card games so they probably thought it would be a good fit to put him on.